Rabbit Hole Hay specializes in selling nutritious alfalfa hay and timothy hay for rabbits, guinea pigs and chinchillas online. Alfalfa hay and timothy hay offer dietary benefits as food for rabbits. 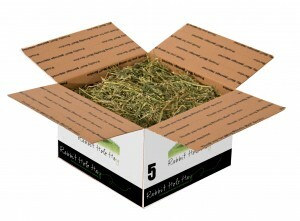 The hay sold by Rabbit Hole Hay is affordable, healthy and delivered straight to the customer’s doorstep. Rabbit Hole Hay is a new company that offers quality, farm fresh alfalfa hay and timothy hay for rabbits and other small pets available for sale online. Rabbit Hole Hay provides a simple ordering process and easy access to healthy food for rabbits, guinea pigs and chinchillas. Alfalfa hay is an excellent source of food for rabbit’s age 3 weeks to 7 months. Alfalfa hay for rabbits is high in protein, fiber and calcium, providing more calories and energy for rabbits as they reach adulthood. Timothy hay is the best type of food for rabbits aged 7 months and older. Timothy hay as a regular part of a rabbit’s diet is beneficial because it’s nutrient rich, easy on the digestive system and helps wear down rabbit’s teeth. Rabbit Hole Hay offers a simple online ordering process to purchase hay for rabbits, guinea pigs and chinchillas. The alfalfa hay and timothy hay is sold in one, five, 10 and 20 pound increments. It’s safely packaged in a cardboard box and then shipped directly to the customer’s doorstep, eliminating inconvenient trips to the pet store.